The 5th Annual Relay for Life Fundraiser event is upon us. 2 round Singles event during the day. $40 Open - $30 all Am divisions. This year we are doing things a bit differently. ALL DIVISIONS ARE PLAYING FOR CASH. 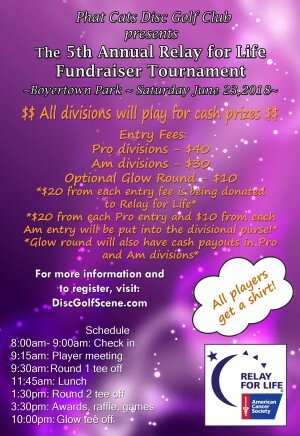 $20 of each entry fee will be donated to the American Cancer Society. 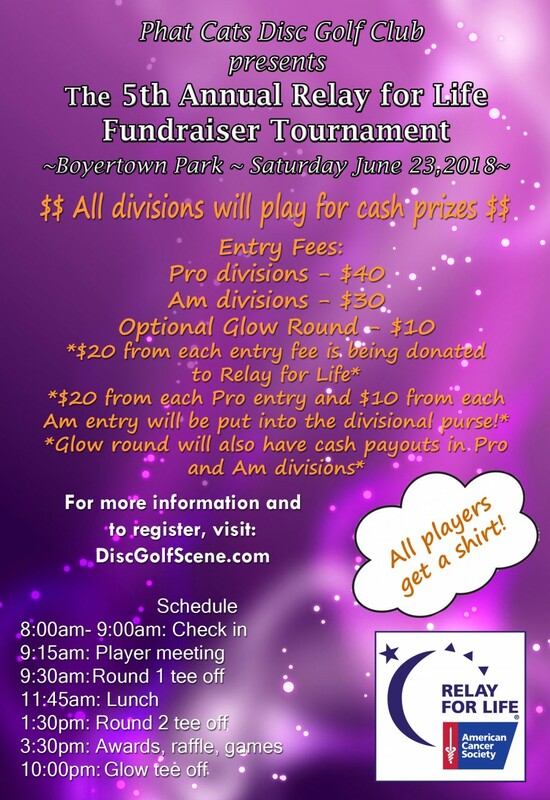 $20 of open, and $10 of am divisions entry goes into the divisional purse. Phat Cat Nation is responsible for all refunds/cancelations.